If you are in business, chances are you might have heard about the term franchise. Whether you want to get involved with a Ritter’s Ice Cream franchise location or a retail store, owning a franchise could increase your profits. Be it expanding your own business or looking out for newer investments for income, a franchise is surely one of your safest bets. However, investing in, or recruiting for, a franchise company can be a challenge. Here, we will discuss what is a franchise, how it works and whether it is beneficial for you. Exactly, what is franchise? Simply put, a franchise is a way of doing business. Franchising is a business organization model utilized to increase the market share of a particular company. 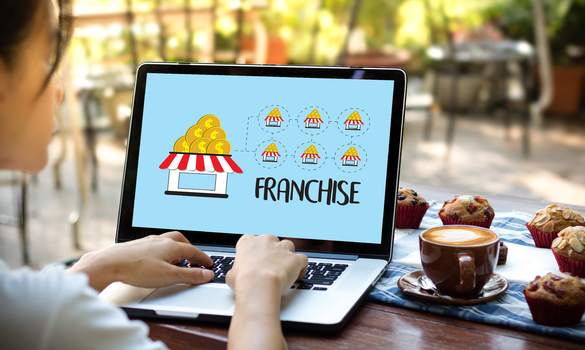 To do so, the franchise company, or franchisor, sells their brand name to particular individuals (franchisees) who would like to start up their own businesses. The franchisee receives an already established brand name to build his or her business upon. As a result, both parties benefit considerably, making franchises one of the most popular business models used. There are many benefits to franchising out your business. If you are an already established business owner with a fairly large customer base and goodwill in the market, recruiting franchisees can ensure a less expensive way to expand your market reach. It is one of the most profitable ways to gain local market penetration. Since the franchisees are part of the local community, more customers would be guaranteed for the franchise company. Secondly, franchisees would be paying your company a continued royalty fee for your business name and support. The relationship ensures a stable revenue gain as a part of your business. However, as the franchiser, quality and standards must be kept carefully to take care of your franchise owners. Overall, good franchise training and support attracts individuals who are ready to invest his or her money the business. Franchisees would also ensure a committed dedication towards achieving the same goal. Since they are a part of your business model offering the same products, their success as a franchisee would automatically indicate your success as a franchisor. So it is certainly a better way to quality management. Franchisees, as investors, are also interested in earning profits. So, there is a certainty of a good commitment from them. After all, they are putting their money and time into something they want to do. These are many of the benefits to recruit new franchise owners for your business. Franchise owners have a lot to gain too. As has already been said, a franchise is built upon the brand name of the franchiser. So, if you want to start a business with instant brand strength, a franchise is the way to go. Additionally, a franchise saves you the brainstorming and planning for a successful business model. Since, the franchisers like the Starbucks franchise are trusting you with their brand name, you can be sure about their support and marketing strategies. This obviously indicates a good business for you as also for them. So it is in common interest that you receive the best of advertising, start up, training and on going support as a franchisee. Motivated franchise owners will usually become very successful. Unless the franchise company has problems, the motivated franchisees will receive dedicated support from the company. Since both the franchise company and owner have aligned interests, they work together to create solutions and win more customers. There are two main roles in a franchise business model. These two roles are the franchisee and the franchisor. The franchisor provides the franchisee with support and excises control over some parts of the franchise operations. The start up services offered by franchisors can help you navigate the rocky waters of the first year of business. The franchisee is the owner of a license for a business that is substantially associated with the franchisor’s trademark. Franchisees pay franchise fees and accept the rules and assistance of the franchisor. These are the two main roles of franchise business models. There are two main types of franchises, primarily business format franchises and product distribution franchises. Business format not only provides products, services and branding, but also provides an entire system to run the business. This might include support and processes at the operational or production levels. Meanwhile, a distribution franchise focuses more supplying the franchisee with products ready for sale. The franchisee might provide some servicing or additional customization. However, the franchise company does the majority of the production. Depending on the franchise company’s industry and business model, either one type or a combination of both is used. Consider Muffler Shop franchises for optimal opportunities. As with any business, who you hire as a franchise owner makes or breaks your brand. Maintain the quality staff members you already have by providing them with benefits and flexibility. Show your appreciation for their hard work. Increase their responsibilities as new staff members come in. When hiring new employees, look for candidates that are hard working and friendly. Learn when to hire someone with a DUI and when to turn them away. Then, you will achieve your franchise goals through recruitment. Franchising is a great business model for the franchise company and the individual investor. When executed properly, the benefits for both parties are immense. The franchisee gets the benefit of corporate marketing and branding among other advantages. The key is the relationship between the two, working together to expand their market and satisfy customers.